Product #433 | SKU Z-LLS | 0.0 (no ratings yet) Thanks for your rating! 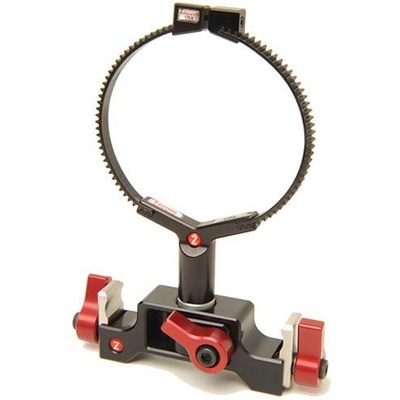 The Zacuto 15mm LWS Lens Support is a universal lens support system for 15mm rods that consists of several of Zacuto's modular components. The basic building block is the Q-Mount, which clips onto and mounts underneath the 15mm rods. The Z-ZG-16 is a 40.64 cm Zipgear which wraps around the lens to provide solid grip platform for lenses of any size. This kit also includes the Z-RE-M1 2.54 cm rod extension, which provides extra distance between the Q-Mount and the Zipgear.